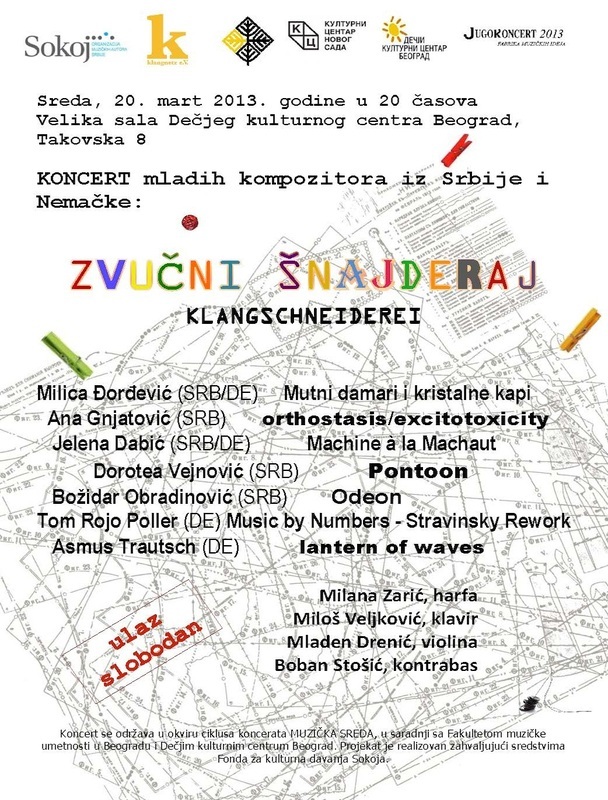 After a very successful series of young composers’ concerts in SKC Belgrade, named izvodimo se! / acting out! 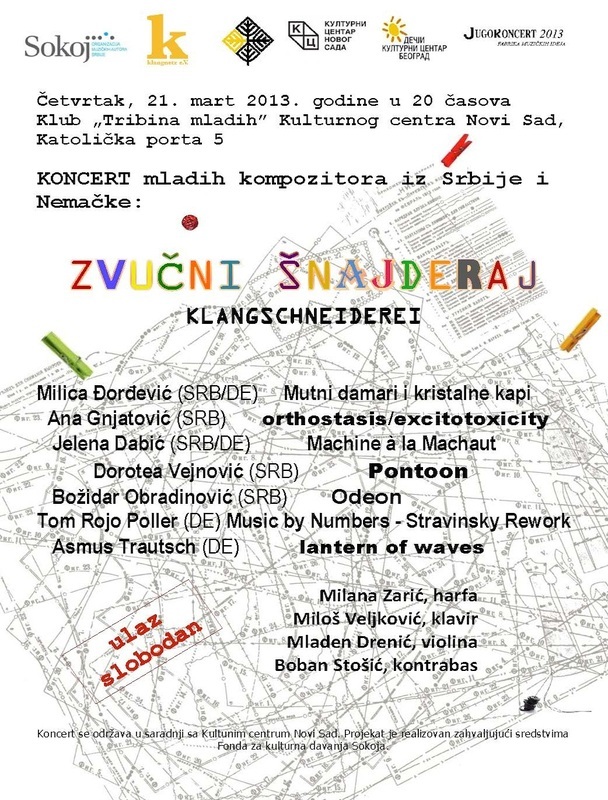 (2004-2006), and the establishment of the student festival KoMA (KOncerti Mladih Autora / Young Authors’ Concerts, 2004), two young artist from Belgrade, Milica Djordjević and Ana Gnjatović, in cooperation with Klangnetz Association from Berlin, created the project of cultural exchange - Zvučni šnajderaj / Klangschneiderei. The Series of concerts starts in Belgrade, on 20th March 2013 followed by a concert in Novi Sad on 21st March, and it continues in Germany, from autumn to spring (in Hamburg in November 2013, and in Berlin and Dresden in January 2014). Concerts in Belgrade and Novi Sad were made possible thanking to the Funds from the cultural benefits of SOKOJ. We thank the Faculty of Music in Belgrade, the Children's Cultural Center Belgrade and Cultural Centre Novi Sad for their help in this project.